Software Testing, Analysis of Software artifacts, Software Reuse, Object oriented programming, Software process maturity models. With Ramya V “Performance Improvement of Geometric Decision Tree Using Parallel Approach and XGBoost algorithm “in IJCTA,December 2016. With G.Senthil Kumar “An Ontology based Service Specification for Enterprise Systems” in IJEDR, March 2014. With Sarany S Parallelisation of Cryptographic algorithm &amp; key identification using genetic algorithm approach”, on Research day ,February 2017. National Level Seminar on “Architectural Thinking for Software Engineers”. National Workshop On Reflections and Future directions of web services and SOA (NWRFDWSS'17) August 2017. Effects of nanoparticles as drugs and carriers in Alzheimer`s disease model drosophila. A comparative cytotoxic study using nanoparticles and drug coated nanoparticles invitro. Postdoctoral Researcher, National Center for Geriatrics and Gerontology, Japan. 2012-2015. Researcher, Nagoya University, Japan, 2012. JSPS Young Scientist Fellow, Nagoya University, Japan, 2011-2012. Teaching Assistant, Nagoya University, Japan, 2008-2010. Research Assistant, Nagoya University, Japan, 2007-2008. Delivered Guest Lecture at Nagoya University, Shanghai Campus, China, 2008. The 12th International Conference on Alzheimer’s & Parkinson`s Diseases (ADPD 2015), Nice, France. Annual meeting of the Society for Neuroscience, 2014, Washington DC, USA. International Neurotoxicology Conference (INA 13 & ICOH 11) 2011, Xian, China. Annual meeting of the Society for Toxicology, 2011, Washington DC, USA. Annual meeting of the Society for Toxicology, 2008, Seattle, USA. International Neurotoxicology Conference, 2007, Texas, USA. Presented a paper titled “Improved Harmony search Algorithm for Economic Emission Dispatch” in the Second International Conference on Electrical Energy Systems(ICEES 2014) conducted by SSN college of Engineering,Chennai. Presented a paper titled “Harmony search Algorithm for Economic Emission Dispatch” in the International Conference on SEMCCO 2013 and FANCCO 2013 conducted by SRM Institute of Science and Technology (formerly known as SRM University),Chennai. Presented a paper titled “Evolutionary Algorithm based Economic Emission dispatch” in the International Conference on sustainable approach for green computing and environment conducted by V.M.K.V Engineering college,Salem,2013,pp.418-423. Presented a paper titled “Evolutionary Algorithm based Power System State Estimation” in the 2 nd National conference on Power System Emergencies conducted by Sri Chandrasekharendrasaraswathiviswamaha vidyalaya,Kancheepuram,2013,pp.1-6. 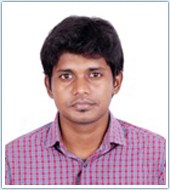 Presented a paper titled “Particle Swarm Optimization based Power System State Estimation” in the National Conference on Wireless Communication & Advanced power systems conducted by Sri Ganesh College of Engineering and Technology,Puducherry,2013,pp.65-70. Lecturer, RMD Engineering College from 2005 to May 2006. Affiliation: Faculty of Science and Humanities, SRM Institute of Science and Technology (formerly known as SRM University), Kattankulathur. A study on the importance of working journalist related provisions under Indian labour legislation. “Sham contracts under the contract labour (regulation and abolition) act, 1970 its impact on the working class” Article published in the National Seminar conducted by The Government law college, Trichy held on 24th Mar 2017. Paper published on the topic of “A Study on the Importance of Crop Insurance in the Phase of Variant Climatic Change” at the International Conference on “Climate Change Resilience and Disaster” on 28th Jun 2017 organized by The Tamilnadu Dr. Ambedkar Law University. Paper presented in UGC sponsored National seminar in Tamilnadu Dr. Ambedkar Law University Tamil Paper Presentation in the Topic of Valluvamum Vaazhvial Sattamum. Paper presented in Tamilnadu’s Science Committee 12th conference in the Topic of GEOGRAPHICAL INDICATIONS organized by Periyar University, Salem (Aug 23rd 2012). Paper presented in Bharat University organized the seminar in the topic of Investigative Journalism Of Unofficial Espionage. Working papers on Inter Linking Rivers and Laws related to that. Research on Working Journalist Act. Working as an Assistant Professor, SRM School of Law, SRM Institute of Science and Technology (formerly known as SRM University), Kattankulathur, Tamil Nadu from Since Aug 2017 to till date. Worked as an Assistant Professor in School of Law, Saveetha University, Chennai from Mar 2016 to Aug 2017. Worked as Guest Lecturer From April 2015 to March 2016, in Govt. Law College, Chengalpattu, Kancheepuram District. As a resource person has taken a class for first-year ML., (Labour and administrative law) private study at Madras university. Practiced as an Advocate in Thanjavur District Court from 2012 to 2015. C.P.R. Environmental Education Centre awarded certificate for participating in the training program and workshop on Environmental Law during studies in UG studies 24th Mar 2007. Attended the workshop on Environmental Law organized by CPR Environmental Education Centre held on 20th Feb 2010. Attended the Workshop on Research Methodology and knowing the Legal Publication market organized by Saveetha School of Law, 25th Mar 2016. Participated in national level workshop on CONSUMER PROTECTION in Digital Age “The way forward “ on 15th Mar 2017. Participated in the One Day National Level workshop on “Emerging Trends in Social Security Legislations in India – Issues and Challenges on 5th Apr 2017 organized by The Tamilnadu Dr. Ambedkar Law University. Passed the UGC NET for Lectureship held on JUNE 2015 and also the second time in JANUARY 2017. Secured First Rank in BL (Constitutional Law) for the year 2007 to 2008 and has been awarded Hon’ble Justice K. Veerasamy Endowment Gold Medal in the 6th convocation of The Tamilnadu Dr. Ambedkar Law University held on 13th Aug 2012. UG Top Rank Holder in The Dr Ambedkar Govt. Law College (2006,2007,2008). 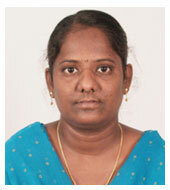 Junior Writer Distinction Award Given by Vikatan Magazine group (2010). 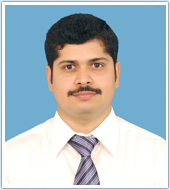 Member of Bar Association of Thanjavur, District of Thanjavur from 2011 to 2015. S. Saranyaa , P. Bhavitha V. Sneha and K. Manoj “Speed Control of Induction Motor using AC-AC and DC-DC Buck-Boost” International Journal of Control Theory and Applications, vol 10, November 31,2017. Priya Jayakodi V J and Saranyaa.S, “Design of capacitive humidity sensor in COMSOL multiphysics”, ARPN journalof Engineering and applied sciences,vol.11,Feb 2016, SNIP:0.668. Priya Jayakodi V J and Saranyaa.S, “Design of capacitive humidity sensor in COMSOL multiphysics”, DRDO Sponsored @nd International conference on Electrical, Electronics, Instrumentation and compouter Communication, Coimbatore, India, 2015. Priya Jayakodi V J and Saranyaa.S, “Design of Interdigitated capacitive humidity sensor in COMSOL multiphysics”, IEEE Sponsored 3rd International conference on Emerging technology and science, Rasipuram, India, 2016. Priya Jayakodi V J and Saranyaa.S, “Design of Interdigitated type capacitive humidity sensor using COMSOL multiphysics”, 2nd International Conference on Emerging Technologies in Computing, Control, Communications & Construction Technologies (ICETCCCCT-2k16), Kanyakumari, April, 2016. Priya Jayakodi V J and Saranyaa.S, “Design of Comb drive capacitive humidity sensor in COMSOL multiphysics”, International conference on Innovative & Emerging trends in Engineering and Technology, India, 2016. Priya Jayakodi V J and Saranyaa.S, “Study of Interdigital capacitive humidity sensor in MEMS based COMSOL multiphysics”, ISA South India section, India 2016. 14 days course on “MEMS Modeling and Nonlinear Dynamic based analysis” conducted by IIT Madras, Dec 2016. Attended a three day workshop on “Research scopes in Micro Engineering”, organized by Dept of Mechanical Engineering ,NIT Trichy from 28.4.16 to 30.4.16. Online Course in coursera “Origins - Formation of the Universe, Solar System, Earth and Life”, University of Copenhagen, Feb 2015. Attended a three day IEEE sponsored MEMS Familiarization workshop, IISC Bangalore, Sep 2015. Given a guest lecture on “High time to wake up- Awareness to plastic usage” to teaching and non teaching staff members in EIE Department, SRM University, Nov 6th,2015. Given a guest lecture on “High time to wake up- Awareness to plastic usage” to school students in EIE Department, SRM University, Mar 19,2014. Affiliation: Department of Civil Engineering, Kattankulathur Campus, SRM Institute of Science and Technology (formerly known as SRM University). Analysis of Various Shortcomings in Contract Systems in Use of Major Building Projects and Proposing Recommendations for Rectification , Vol 5, Issue 3, March 16, PP 435-4364. Experimental Investigation of RCC beams with partial replacement of Pumice stones as aggregate. With B. V. Senthil Kumar and J. M. Rassias, “Stabilities and Counter Examples of Mixed Euler Lagrange k-Cubic and Quartic Functional Equation in Quasi-β Normed Space”, Functional Analysis Theory Methods Application, Vol. 3, 15-25, 2018. With K. Ravi, “Generalized Hyers-Ulam Stability of a Quadratic Functional Equation in Quasi-β Normed Space”, International Journal of Control Theory Applications, Vol. 9, 483-489, 2017. With K. Ravi and J. M. Rassias, “A Fixed Point Approach to the Stability of Decic Functional Equation in Quasi-β Normed Space”, Pan American Journal, Vol. 1, 42-52, 2017. With K. Ravi, “Intutuionistic Fuzzy Stability of a Mixed Type Additive-Quadratic Functional Equation”, Global Journal of Pure and Applied Mathematics, Vol. 12(1), 2016. Participated and Presented a Paper entitled “Generalized Hyers –Ulam-Rassias Stability and J.M.Rassias Stability of a Quadratic Functional Equation”, National Conference on Applications of Mathematics in Science and Technology during March 12-13, 2009, PG and Research Department of Mathematics, Sacred Heart College, Tirupattur. Participated and Presented a Paper entitled “Generalized Hyers-Ulam Stability of Radical Reciprocal-Quadratic Functional Equation” International Conference on Mathematical Modeling and Applied Soft Computing (MMASC 2012), 11-13 July 2012, Coimbatore Institute of Technology, Coimbatore-641 014, India. Participated and Presented a Paper entitled “Generalized Hyers-Ulam Stability of Radical Reciprocal-Quadratic Functional Equation”, National Conference on Mathematical Techniques and its Applications NCMTA 2013 during 1&2 March 2013, SRM Institute of Science and Technology, Chennai, India. Participated and Presented a Paper entitled “Solution and Stability of a Mixed Type Functional Equation in RN-Spaces” in the UGC Sponsored National Conference on “Emerging Trends & Applications of Mathematics to Science and Technology” Organized by the PG and Research Department of Mathematics, Sacred Heart College, Tirupattur during 6 and 7 August 2013. Participated and Presented a Paper entitled “Solution and Stability of a Mixed Type Functional Equation in RN-Spaces”, National Conference on Recent Advances in Mathematical Analysis and Applications NCRAMAA during September 6-7, 2013, Department of Mathematics, K.S.Rangasamy College of Arts & Science, Tiruchengode, India. K.Ravi and S.Sabarinathan, On the stability of the functional equations f(x + y + z + xy + yz + xz = xyz) = f(x) + f(y) + f(z)+ (x + y + xy) f(z) + (y + z + yz) f(x) +(x + z + xz) f(y), Mathematic Aeterna of International Journal for Pure and applied mathematics, volume 3, no.3-4, 2013. pp. 229-239. K.Ravi and S.Sabarinathan, General Solution and Stability of New Quadratic functional Equations in Paranormed Spaces” Sacred Heart Journal of Science and Humanities, Volume-4(2)-2014: pp.60-70. K.Ravi and S.Sabarinathan, Generalized Hyers-Ulam Stability of Sextic Funcational Equation in Paranormed Spaces. “International Journal of Mathematical Trends and Technology” Volume-9, no.1-May 2014. pp.61-69. K.Ravi and S.Sabarinathan, Generalized Hyers-Ulam Stability of Radical Reciprocal-Quadratic Functional Equation, Indian Journal of Science and Technology, Vol: 6, Issue: 2S3, March 2013, ISSN: 0974-6846, pp 121-125. Participated in National Conference on “Applications of Mathematics and Computer Science” organised by S.D.N.B Vaishnav College for Women, Chennai during 10th February, 2012. Participated in National Workshop on “Mathematical and Computational modelling” organised by Jeppiaar Institute of Technology during 27th and 28th April, 2012. Participated in International Workshop on “Differential, Functional Equations and its Applications (IWDFEA 2012)” organised by department of Mathematics, Sacred Heart College (Autonomous), Tirupattur during 27th & 28th August, 2012. Participated in International Workshop on “Real Number System” organised by department of Mathematics, Sacred Heart College (Autonomous), Tirupattur during 10th December, 2012. Participated in the National Programme on Technology Enhanced Learning Workshop organised by Arunai College of Engineering during 13th July, 2013. Participated in International Conference on “Symmetries I Integrability in Difference Equations” Bangalore during 16th to 21st June, 2014.